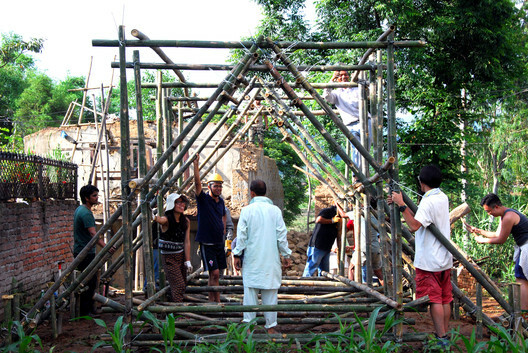 Hong Kong’s Charles Lai, Tokyo’s Takehiko Suzuki and Hong Kong-based practice aona completed a prototype for a quickly-erected shelter made of bamboo poles and other local materials for earthquake victims in Nepal. The two architects began an architectural relief organization, Architecture for the Mass, this past April in response to the Nepal Earthquake. Even with the mountainous terrain and insufficient road quality of Nepal, emergency relief materials like tents and canvas can be flown into Nepal by cargo planes, but the materials needed are difficult to proliferate into remote areas. Plus, the temporary structures built are structurally fragile, uncomfortable, and the mud bricks used are not earthquake resistant, and become dangerous due to their weight. 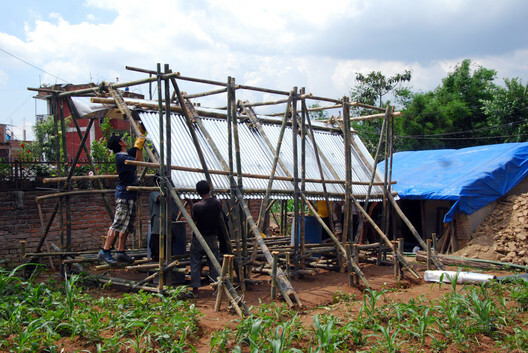 Charles and Takehiko solution is designed from a structure system of inexpensive bamboo frames — which is also easy to deliver, cut, and assemble — to allow comfortable and efficient shelters made with materials locally available in Nepal. 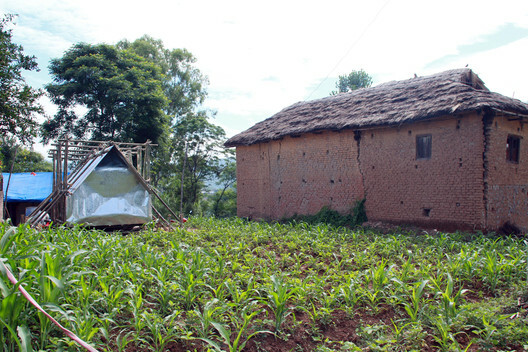 With simple connection details and easy-to-read and illustrated manuals, unskilled workers can assemble the shelter within 2-3 days. The locals could make use of these temporary buildings as shelter, nursery, clinic, community center, etc. without assistance from construction professionals. 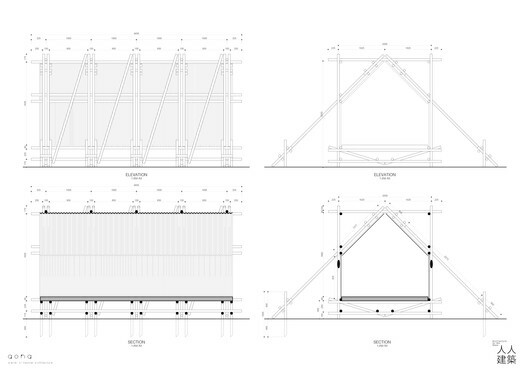 The sectional profile of the frame has a raised platform and a pitched roof design to keep the interior dry from rain, and the frame’s diagonal elements provide rigidity and improves quake resistance. The cost of the 3m x 6m shelter is around US$400 -$ 500, and the bamboo structural frame could be appropriated into different sizes depending on the function of the structure. After the development and construction of this prototype, Architecture for the Mass will focus on reconstruction of schools and community facilities in severely damages regions of Gorkha, Katunge and Bhaktapur.